For those interested in the history of the conception, organization and operation of Mammoth Cave National Park, WKU’s Special Collections Library offers two important collections of primary source material: the Max B. Nahm Collection, about which we have previously blogged, and the Mammoth Cave National Park Association (MCNPA) Collection. Incorporated in 1925 for the purpose of persuading Congress to pass enabling legislation for a national park at Mammoth Cave, the MCNPA worked closely with the Kentucky National Park Commission to acquire the minimum acreage needed for the park and to raise funds for project expenses. Prior to 1941, the MCNPA was concerned with managing the caves and associated hotels, building roads and infrastructure, fending off opposition to the project, and convincing politicians at the state and federal level to remain committed to the goal of a national park. After some 48,000 acres were assembled and the National Park Service took over the park in 1941, the MCNPA assumed a new role as a non-profit advocacy group, providing input on environmental, educational, and preservation issues affecting Mammoth Cave. The Mammoth Cave National Park Association Collection at WKU’s Special Collections Library includes meeting minutes, correspondence, reports, advertisements, and clippings covering most of the MCNPA’s history. A detailed finding aid for the collection can be downloaded here. 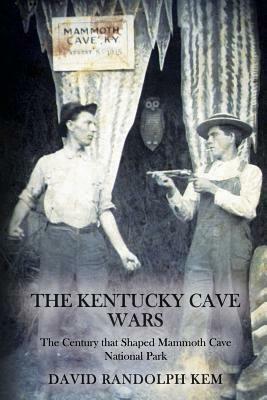 For other resources on Mammoth Cave, search TopScholar and KenCat. 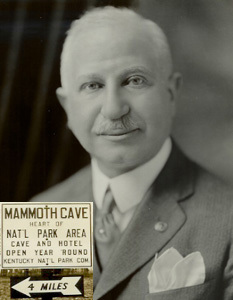 On May 19, 1924, prominent Bowling Green banker Max B. Nahm attended a meeting of citizens interested in the creation of a national park at Mammoth Cave. Within a year, the Mammoth Cave National Park Association had been formed to raise money, lobby the U.S. Congress for enabling legislation, and negotiate purchase options from private owners of the proposed park lands. Max Nahm became the Association’s president. A collection of Max Nahm’s papers at WKU’s Special Collections Library documents his key executive role, over the next two decades, in the creation of the park. As Association president and chairman of the Kentucky National Park Commission, Nahm was involved in all aspects of the project: assembling land; securing private, state and federal funding (which became increasingly difficult during the Depression); defending the project from public criticism; developing roads and hotels to serve tourists; managing cutthroat competition from private owners of surrounding caves; completing the controversial process of removing residents; and fulfilling all the conditions under which the National Park Service would assume responsibility for the park. A finding aid for the Max Brunswick Nahm Collection can be downloaded here. For more information on the Nahm family, search TopScholar and KenCat. 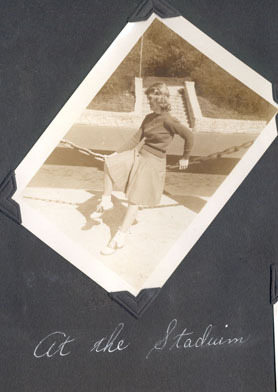 Clara Ramsey DeWilde was a pretty typical WKU student in 1945. Born in Russellville, Kentucky in 1926, she was 19 when she came to Bowling Green. 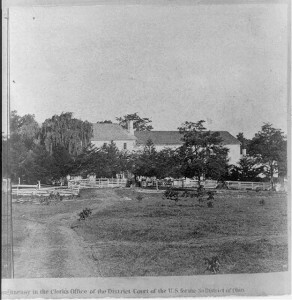 She lived in West Hall and created a scrapbook of photographs of her time on the Hill. These include friends on campus, Halloween in the dorm, a trip to Mammoth Cave and family. This scrapbook was loaned to University Archives for digitization in 2007. It is now available to researchers via KenCat by searching DeWilde [http://wku.pastperfect-online.com/35749cgi/mweb.exe?request=ks]. 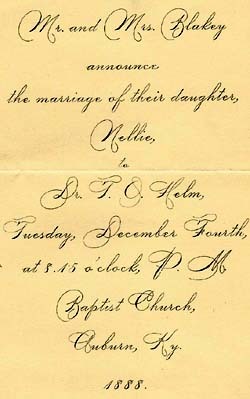 This is only one of many examples of Student/Alumni personal papers found in the University Archives. If you have personal papers documenting life on the Hill please contact the University Archivist at klmref@wku.edu.